I moved in to a new place at the beginning of May, which means I had new keys to decorate! 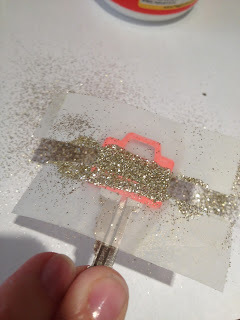 First I started by taping a line down the middle, where I want to put the sparkles. 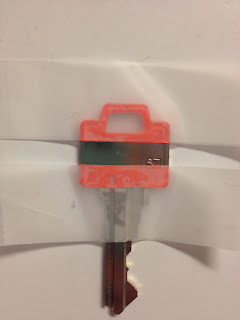 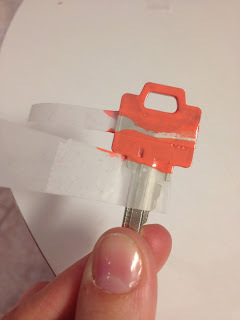 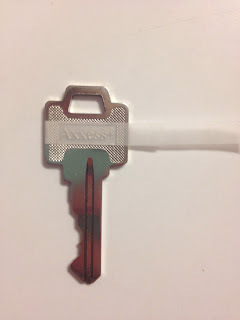 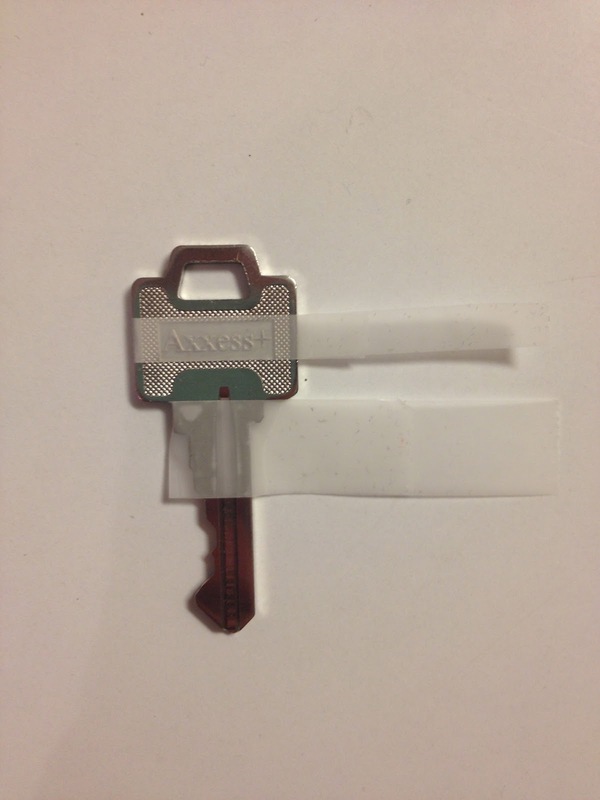 Then, I put a piece of tape around the bottom, so I don't get any of the nail polish there. 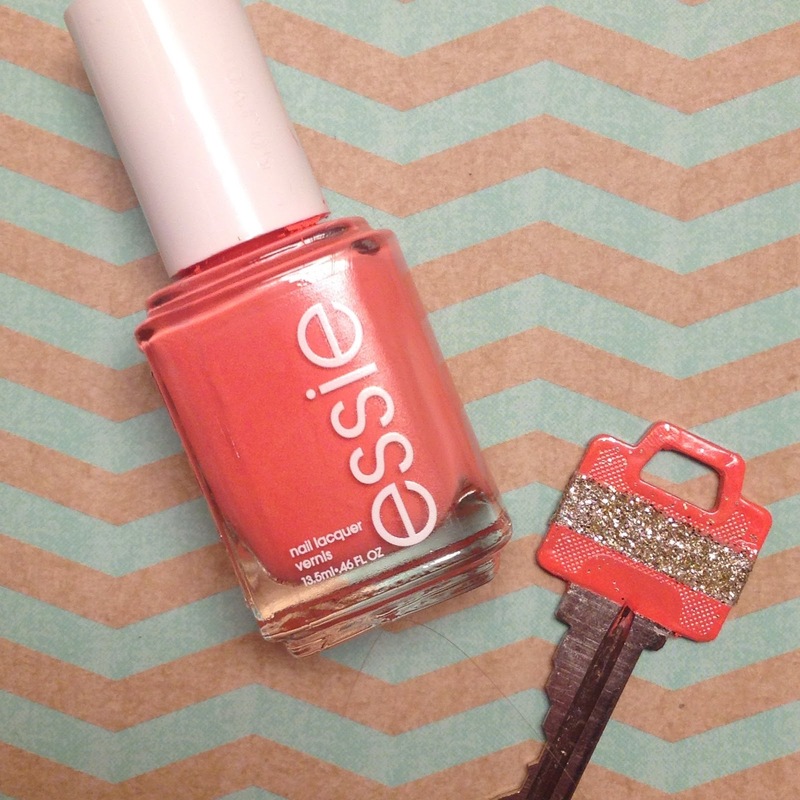 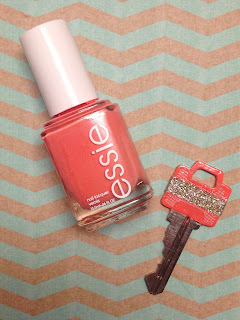 I picked one of my favourite Essie nail polishes to paint the key with. Then, after the nail polish was completely dry, I did the opposite of above. 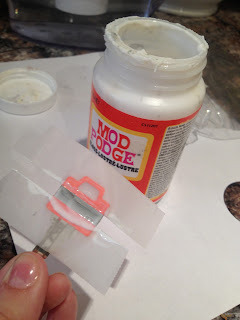 I put mod podge on the stripe in the middle. Then I covered it in sparkles. 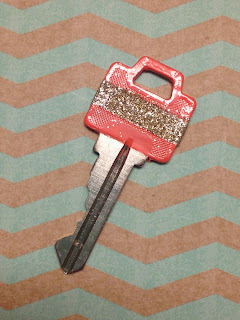 I removed the tape, and then painted the sparkles with a coat of clear nail polish. I hope you love this summer inspired sparkle key!